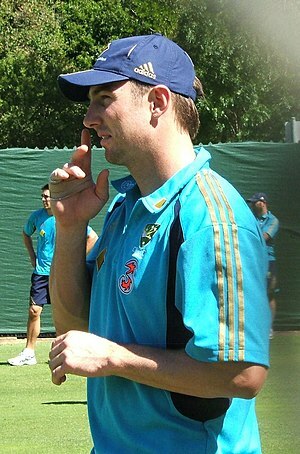 Recalled Shaun Marsh struck a superb century as Australia won the second one-day international against England by 46 runs to go 2-0 up in the series. The hosts recovered from 33-4 and then 142-8 as Marsh, who was last man out for 110, helped them reach 230 all out. 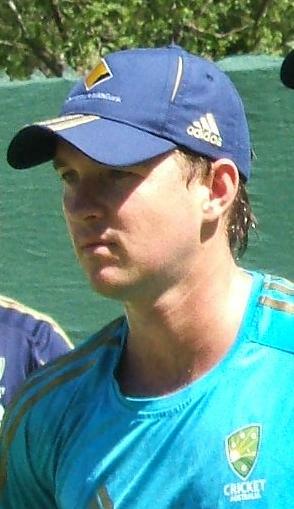 He shared an Australian ninth-wicket record of 92 with Doug Bollinger (32), who then dismissed Andrew Strauss and Kevin Pietersen in successive balls. Jonathan Trott (32) and Ian Bell (32) got starts, but England made only 184. Nathan Hauritz, Brett Lee and Shaun Tait have been named in the Australia squad to face England in the first of seven one-day internationals on Sunday. Batsman David Hussey is also included but Callum Ferguson and Shaun Marsh have failed to make the squad, putting their places in the World Cup in doubt. The deadline for the naming of the World Cup squad is 19 January, two days before the second one-dayer.